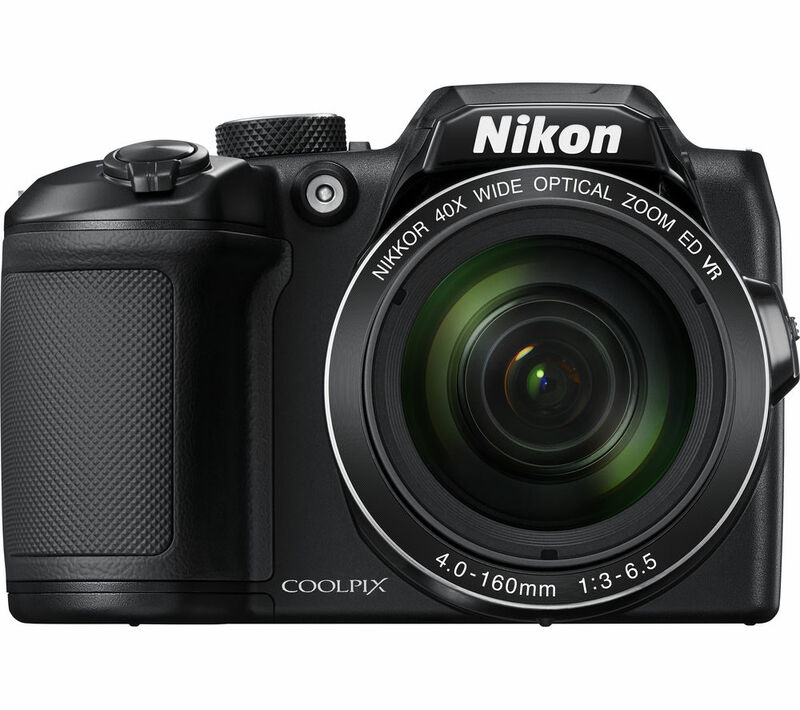 Take photos worth sharing with the Nikon COOLPIX B500 Bridge Camera, offering superior image quality, powerful zoom and Full HD video in an easy-to-use design. Whether you're roaming the streets of a foreign city or a beautiful landscape on holiday, enjoying the night sky or photographing wildlife the COOLPIX B500 will capture your surroundings in high quality. Its backlit CMOS sensor renders details and colours crisply and naturally, and your shots will look sharper as sophisticated VR counteracts blurring from camera shake – even at full zoom. 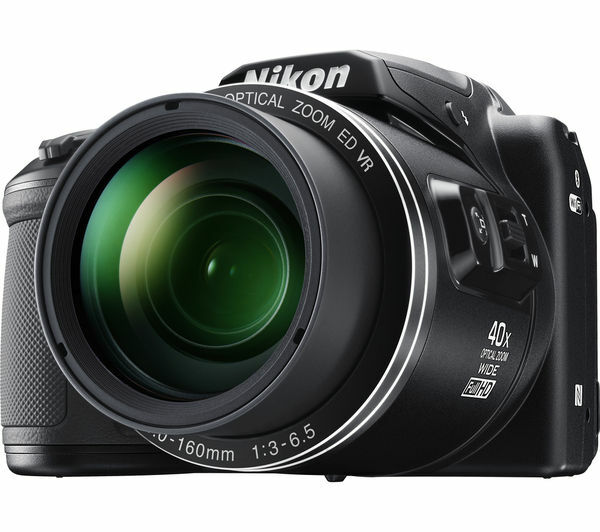 Great for animal watching, live events and sports matches alike, the COOLPIX B500 Bridge Camera offers a 40x zoom range so you can achieve stunning close-ups of subjects that are far off or hard to get to. Capture more details from a distance with digitally extendable 80x Dynamic Fine Zoom. Record special events in 1920 x 1080p Full HD and relive those moments in spectacular clarity. Advanced VR is available in video mode and extends across the zoom range, so your videos will be colourful and detailed just like your photos. Save still while you film to make a montage of the best moments for sharing. Sometimes it's difficult to capture a shot because your view is obstructed - or you might want to capture a scene from a unique angle. 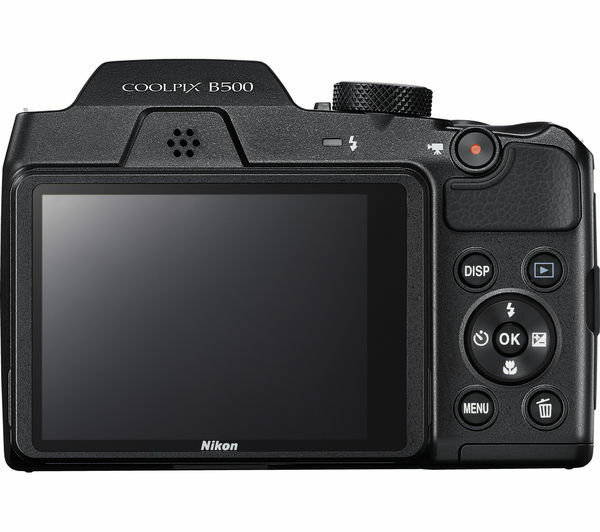 Your Nikon B500 helps you overcome tricky shooting positions and opens up creative possibilities with its tilting touchscreen. Get clear views of subjects even from diagonal directions, and stay comfortable so you can achieve the composition you want. Link your camera to your smartphone or tablet using SnapBridge to control functions and take photos remotely. This handy wireless function allows for syncing with your devices so you can upload your creations to the internet for fast, easy sharing. Stay in control with an ergonomically-positioned mode dial and the B500's lightweight design, which allows for easy transportation on any photo excursion. See more on our Repair & Support Plans for cameras.